A breast lift raises, firms and reshapes the breasts. Pregnancy, weight loss, aging and other factors can cause breasts to lose firmness and shape and begin to sag. A breast lift (mastopexy) is a surgical procedure that raises, firms and reshapes the breasts. RTH Plastic surgery is the leader in the state of Michigan in breast lift surgery. Our board certified plastic surgeons in Michigan understand every woman’s body is different, and no two breast lift surgeries are the same. Although these FAQs are here to provide you with an overview of breast lifts, a personal one-on-one consultation with our plastic surgeon in our Bingham Farms, Michigan office is the best place to learn more about breast lifts and the best solution for you. 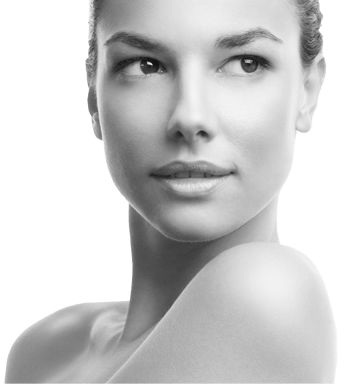 Visit the other areas of the site to find out more about available Types of Cosmetic Procedures. Meeting with one of our board-certified plastic surgeons in our Bingham Farms, Michigan office and having a thorough consultation is the first step to a successful plan. Discussing your desired results, your health specifics and of course answering any questions you may have about your breast lift procedure. Our goal for each consultation is to ensure you leave feeling confident and comfortable about the process and have a breast lift plan that is right for you. The RTH Plastic Surgery office is located just minutes from Detroit, Clinton Township and Birmingham in Bingham Farms, Michigan. Well before your cosmetic surgery procedure, let RTH know of any medications you take. Three weeks prior and three weeks after, we strongly suggest limiting your alcohol and tobacco intake. Two weeks prior and two weeks after, you should not take any medication that may thin your blood such as aspirin or ibuprofen products. The evening before your cosmetic surgery, refrain from eating or drinking anything including water, and do not smoke. If you develop a cold, sore throat, fever or any other symptoms of illness before your surgery, let RTH know right away. When it is time to begin, you will be taken to our state-of-the-art surgical suite and comfortably fall asleep under general anesthesia. A breast lift typically takes two to three hours to perform. Rest is strongly recommended for the first few days following surgery. A post-procedural sports bra is usually worn for several weeks after. Most patients are back to work within a week, but it is important to remember that everyone recovers differently, and you may need more or less time before you feel 100% again. A few days after your surgery, your RTH doctor will follow-up to see how you are healing and prescribe any necessary medication. While results vary based on the individual, breast lift patients typically enjoy more shapely, better-positioned breasts that compliment their figure and give a boost of confidence. During your consultation in our southeast Michigan office, your plastic surgeon will thoroughly explain what results to expect with your breast lift procedure. Q: Is a breast lift right for me? If you want to increase the firmness of your breasts while raising their position, a breast lift may be the right option for you. All breast lift candidates must be 18 years or older and in good health with no pre-existing medical conditions that could create complications. Q: Why choose RTH Plastic Surgery for my breast lift procedure? When choosing a plastic surgeon to perform breast lift surgery, there are three important qualifications to consider: training, experience and personal attention. 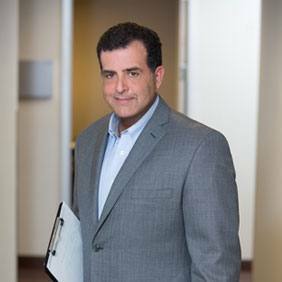 Dr. Hajjar is Board Certified by the American Osteopathic Board of Surgery in plastic and reconstructive surgery. Above all, your doctor should be someone you trust to deliver exceptional results and perform a safe and effective procedure. Q: Will my insurance cover a breast lift? Insurance companies commonly do not cover an elective or cosmetic surgery like a breast lift. If you plan to use insurance as payment, we strongly suggest consulting with your provider to discuss if the procedure is covered in part or in full by your current plan. Q: Will my breast lift have a natural result? RTH plastic surgeons have improved and refined minimally invasive techniques for breast lift surgery. With our short-scar technique, you can experience little or no scarring. While results vary based on the individual, we focus on creating the most natural results possible. During your consultation, your doctor will thoroughly explain what results to expect. Breast Lift and Augmentation Before and After. The longevity of results varies and is dependent on your body type, lifestyle and if you become pregnant. Typically, you can expect breast lift results to be long lasting and most often permanent if you maintain your weight and keep a healthy lifestyle. Breast Implant and Lift Photos are available on the side. Q: What are the risks of breast lift surgery? Q: Are breast lift surgeries safe? Yes, there is no evidence that breast lifts increase the risk of breast cancer or any other condition. Most women are able to safely breast feed after breast lift surgery. Q: Can I have additional procedures in combination with my breast lift to enhance results? Yes, your RTH doctor can recommend additional services to enhance your desired results such as a breast reduction, breast augmentation or liposuction. RTH also offers the option of combining your breast lift with a laser skin resurfacing treatment, which promotes collagen growth under the skin for a smoother, more youthful appearance.